In addition to the stock balls, there are now 23 different balls available in the game to play, 12 of which are available for purchase on the 2015 edition. The Grabbers are especially popular this year, combining distance and backspin to help carry and stick tough greens. 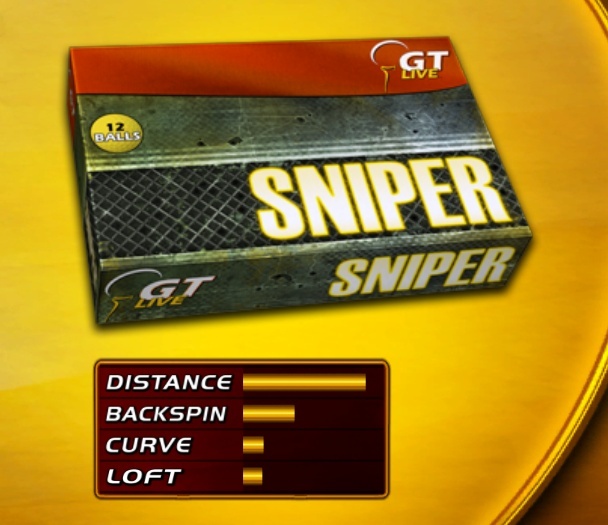 Browse this category to check out all the virtual ball selections in Golden Tee. Description: Hit it far and keep it close! Long distance with less stray on landing. Description: Soft landing ball with higher backspin and roll. In addition to the stock balls, there are now 21 different balls available in the game to play, 12 of which are available for purchase on the 2014 edition. 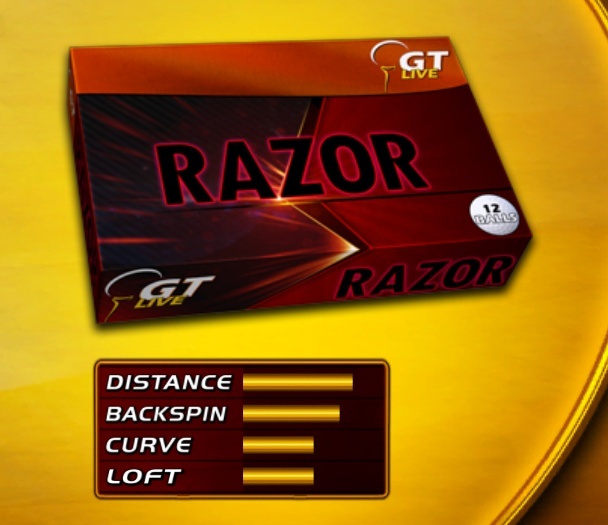 Browse this category to check out all the virtual ball selections in Golden Tee. Great for record drives! Big distance but less spin for curve shots. *Available to purchase in GT LIVE 2014. A lower bounce, softer landing ball, with a backspin boost for ultimate control. Great for keeping shots close to the pin, the Archer balls fly high and land soft. My buddy Juan Schwartz has helped with some analysis of the new virtual ball offerings in 2013. Here’s what you can expect! It actually appears to perform almost identically to the Hurtles, even though the yardage distance shown differs from the Hurtles. The 180 shots (straight-line angle back and forward shots) may go just slightly shorter than the Hurtles. 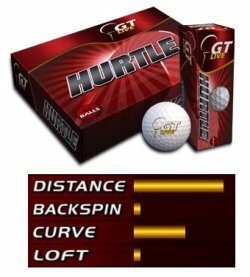 So based on the analysis, if you play Hurtles today, there doesn’t seem to be a reason to switch to these. Pretend your shot already has bite on it even when you don’t actually have bite applied — that’s what you can expect. If you do apply bite to this ball, it will stop on a dime when it lands. You can see how this may be helpful when approaching tough greens! In terms of distance, though, they are noticeably shorter than balls like the Hurtles. Bounders claim to have less spin, but when the shot is finished they actually have more spin — the first hit bounces higher and gives the backspin more time to engage on the next couple hops. The bounces are about twice as high as what you’d normally see. Even landing in sand you’ll see a higher bounce, which could be beneficial in some cases if you are trying to clear it into a green. However, if there is a big wind or green slope, the ball will carry farther in that direction, so it’s tougher to stick greens in these conditions. In terms of distance, they are close to identical to the Hurtles on both 180 shots (where they may be just slightly shorter) and full A1 and C3 curve shots. Keep it close! The Settler is a lower bounce ball with less stray after landing. *Available to purchase in GT LIVE 2013. Featuring a revolutionary elastomer core, the Bounder ball creates higher bounces with less roll distance. The Spectrum ball carries far off the tee with lower loft. Use these low-loft balls for good distance with maximum backspin and roll. *Only available to purchase in GT LIVE 2012. With cutting edge aerodynamics, this ball generates more distance with a bit more spin for curve shots. *Available to purchase in GT LIVE 2012 and 2013. These balls provide the curve shots of the standard stock ball but with greater distance. 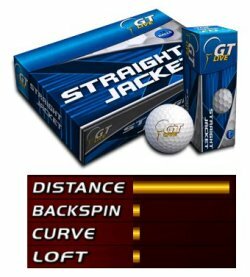 By default in Golden Tee, all players hit what is called the “stock” ball. It is free, and you never run out of them. 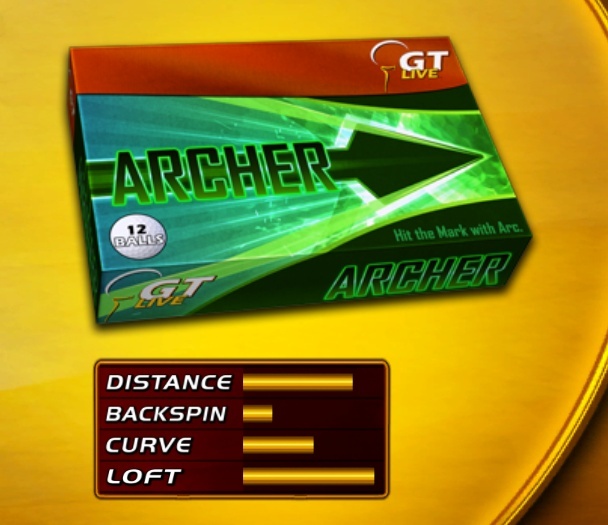 The standard ball used in Golden Tee LIVE provides good distance and spin control. These balls are perfect for beginners! However, you can also buy a 12-pack of any of the high-performance balls for $0.50. This category contains breakdowns of each ball available for purchase. One more note — you can only select which balls to use when you are on the first tee. After you start your round of Golden Tee, you are stuck with those balls the rest of the way, UNLESS you lose all of the current type of ball you are playing. If that happens, the game lets you play with the free stock balls for the rest of the round. DISTANCE — Players seem to have more “feel” with these balls, allowing them more distance control on thumb shots (especially when taking off distance). Compared with the Orbits, the Trackers travel up to 30 yards farther on full-full shots (A1 or C3) and 10-20 yards farther on hammer shots (B2). Thumb shots are almost identical, and judging from the distance marker, you should gain one extra yard on these shots. However, some people still insist that thumb shots fly shorter, so you can determine that for yourself. Also, drives into the wind seem to carry 10-15 more yards than the Orbits. 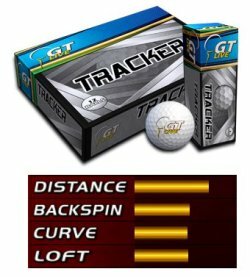 Of course, the Air-O balls give you the boost distance on B2 shots, but if you’re having consistency issues with that ball, then the Trackers should be in your collection as the longest ball of 2010. CURVE — The Trackers curve better than the Orbits, and many agree that the curve is very similar to the Juice balls. SPIN — Spin is comparable to the Maniax. There’s enough of it, but not so much that it’s hard to control. 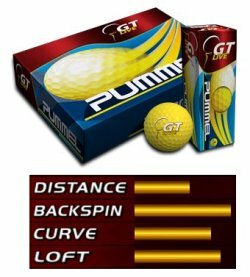 OVERALL — Some people think that these balls actually travel higher as well, especially with a 3-wood, so pay attention to that next time too. It can provide benefits on some holes, but it can also endanger skipping over water! The height issue is just a theory at this point, though. Overall, this is the most consistent ball of the bunch for 2010. With distance and curve, they are playable under most all conditions. *Available to purchase in GT LIVE 2010-2013. The low compression core creates better distance with slower swing speeds. 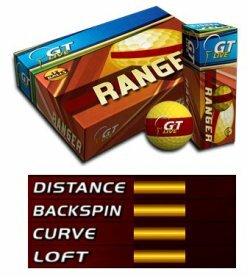 This means you get more distance out of a “slower” shot, and the ball just settles on the green instead of having a moderate amount of spin. So, this could be good for people who can’t pound long shots, but they don’t seem to offer any other advantage. *Only available for purchase on GT LIVE 2010 or 2011. A firmer cover provides increased distance on straight shots off the tee. These balls can be exciting, because the extra distance off the tee with a B2 shot can be huge! BUT, it also becomes difficult to gauge accurate distance off the tee, because of the boost. 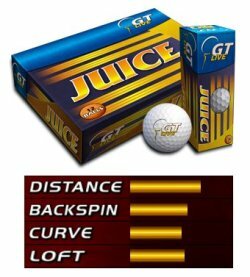 Practice some big B2 shots off the tee with different clubs to get the feel, and then enjoy the consistency that these balls offer on all other types of shots. *Only available for purchase on GT LIVE 2010-2012. The Player features a resilient rubber core for better distance. The soft ionomer cover creates all the spin and control needed for curve shots. These balls are great for amateurs still getting a feel for the game as they provide a great combination of distance and spin that’s easy to control. *Available for purchase on GT LIVE 2009-2013. With maxed-out aerodynamics and a faster core, the Maniax generate great distance with a touch lower spin for curve shots. These balls are also a very solid option for your all-around game. This ball gives you maximum distance and is best for low-lofted shots that can cut through the wind. 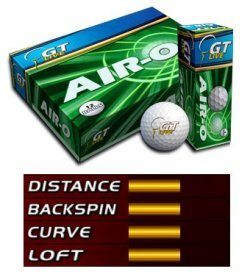 The ball curves well to get maximum distance off your A1 and C3 shots. However, you don’t get much backspin/roll at all with this ball, so it makes it difficult to get approach shots closer to the pin. *Available for purchase on GT LIVE 2008-2013. This ball is best for high, lofted shots and gives you maximum backspin/roll. Sometimes I think this ball gives me too much roll, and I’d rather have the extra distance while keeping the normal roll of other balls. *Available to purchase on GT LIVE 2010-2013. Another very long ball described to “travel the farthest, but backspin and roll are less effective”. Very comparable to the Streak balls — slightly less distance, but slightly more curve. This is currently the most popular ball in the game amongst the pros and is also recommended for all amateurs. *Available to purchase on GT LIVE 2007-2013. This ball goes just slightly farther than the stock ball but has lots of spin. It’s described to have “maximum backspin and roll, with extra spin for superior curve shots”. You can make this ball do about anything! *First available in 2007, but no longer available to purchase in GT LIVE 2013. A good all-around ball that gives you exceptional curve and superior backspin/roll. It also doesn’t hurt you in other areas, except perhaps straight distance shots. * Last available for purchase in GT LIVE 2011. This ball adds distance but maintains normal amount of spin for your hooking shots and backspin/roll. It’s a great “control” ball that gives you a little extra distance to boot. *Available for purchase in GT LIVE 2008-2013. This ball is still tied for the longest ball Golden Tee has ever made. 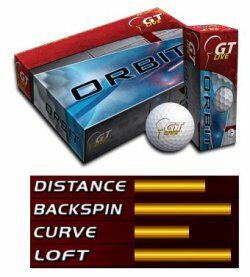 It’s described to have “ultimate distance, with more distance on straighter shots, and less spin control for curve shots”. As you can tell from the graph, distance is about all you’ll get, making sacrifices on backspin/roll and curved shots. *Only available for purchase in GT LIVE 2007-2011.